Dateline 1st April 2018: we bring you news of the first ever universal energy-saving product. It is a multi-award-winning patented gel, discovered by an ex-NASA scientist, which boasts a unique combination of nano-magnetic and photo-piezo-electric properties. Used as an additive in heating-system water it has a triple action. Firstly by reducing surface tension, it improves thermal contact between the water and internal heat transfer surfaces. As a result radiators heat up faster and cool down more slowly, saving energy. Secondly it removes air (improving thermal contact between the water and internal heat transfer surfaces). Removing air means less corrosion and scaling, while its nano-magnetic properties repel any residual magnetite. As a result radiators heat up faster and cool down more slowly, saving energy. Finally it fills in the gaps between water molecules, improving thermal contact between the water and internal heat transfer surfaces. As a result radiators heat up faster and cool down more slowly, saving energy. The product can also be applied to radiators externally as a paint which promotes heat transfer through far infra-red radiation. As a result rooms heat up faster and cool down more slowly, saving energy. Another way to use it is as a wall paint. Used externally, its embedded nano-scale vacuum bubbles allow it to act as a superinsulator: just 0.25mm thickness is the equivalent of 7cm thick conventional cavity fill or exterior wall insulation. As an internal paint applied to the wall behind a heating radiator it reflects wasted heat back into the room, which then heats up faster and cools down more slowly, saving energy. The gel changes to a solid at exactly your preferred room temperature, absorbing or releasing latent heat. As a result of this ‘phase change’ action, when applied as an undercoat for interior wall paint or as a wallpaper adhesive, the room will heat up faster and cool down more slowly while maintaining a steady temperature, saving energy. It can even be used for painting windows, where its photo-electric properties allow it to generate free energy from the sun without loss of light transmission into the room, and as a floor paint its piezo-electric properties mean it can capture energy from passing pedestrians, generating enough power. It has benefits in plant rooms and substations, too. As a coating on gas or oil supply pipes, its nano-magnetic effect yields all the benefits of the different types of awkward and bulky bolt-on magnetic devices. For example by rearranging the ortho- and para-hydrogen molecules it promotes more complete and rapid combustion. It also aligns the fuel molecules and makes them more reactive, which promotes more complete and rapid combustion. In the case of oil fuels this calorific value enhancement (CVE) can be further increased by adding the product to the fuel itself, where it alters a previously-undiscovered property of the oil to make its molecules more reactive, which promotes more complete and rapid combustion. The gel is non-Newtonian, so its action does not have any equal and opposite reaction, making it an ideal lubricant to reduce energy losses in gearboxes. On electrical systems the product can be applied to the outer insulation of supply cables where its nano-magnetic properties will optimise the voltage without the need for transformers or other lossy electrical devices. Moreover, it has the effect of counteracting the random ‘Brownian motion’ of the free electrons in the conductors so that they move in a more orderly manner through your electrical equipment, improving its efficiency by up to several percent. As a refrigerant additive, it modifies a previously-unknown property of the refrigerant fluid, causing it to absorb heat faster and release it more slowly, saving energy, and when applied to the thermostat sensor of a freezer it shields it from the effects of changing temperature, reducing the operation of the refrigeration compressor and saving energy. Prove you’re green: buy Trumputine. More choice for electricity users? When the UK’s gas and electricity industries were opened up to competition it must have irked energy suppliers that there was nothing they could do to differentiate their product from their competitors. “The same gas through the same pipes” is about as far from a unique selling proposition as it’s possible to get; but all that is set to change in the electricity industry thanks to innovative smart-energy startup Brain Power Limited. BPL’s marketing experts have taken inspiration from current trends such as voltage optimisation, variable frequency drives, and power quality monitors to create exciting new electricity supply options that they describe as “fit for the age of smart meters and artificial intelligence”. 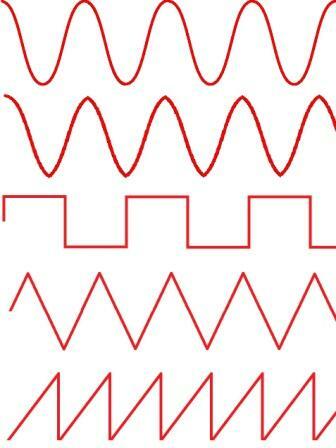 Out is the bland sine-wave alternating current (top) that has been the staple for public electricity supply in the UK for 70 years or more: “in” is a spectrum of waveforms ranging from the inexpensive square wave to the edgier sawtooth (bottom) and, for the connoisseur, designer waveforms like ‘ogive’ (second from top) which co-ordinates beautifully with Victorian architectural features. 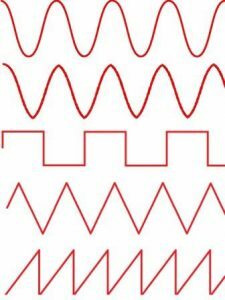 “The great thing about these non-sinusoidal waveforms is that they are really rich in higher harmonics”, said a BPL spokesman. There will be voltage options for every taste as well. 261 volts could appeal to musicians who will appreciate a voltage that equals the frequency of middle C. Nerds may go for 256 volts (because it is a “power” of 2). Initially available in single and three-phase supply only, BPL is rumoured to be releasing five and even thirteen-phase supplies after Brexit is complete, when customers will also be able to cast off the shackles of 50 cycles per second mains frequency. Dateline April 1, 2016: Endomagno Ltd has ordered a total product recall of its bolt-on fuel-treatment magnets after two serious incidents at customers’ premises. Such magnets are commonly claimed to improve consumption by aligning the gas molecules, and the incidents appear to involve the alignment effect being so strong that the gas has actually crystallised in the burner. Why this has started to happen now is not clear (the product literature points out that the Romans used lode-stones to improve the heat output of hypocausts) but my theory is that it relates to the introduction of new microcrystalline neodymium magnets in what the company describes as “a certain configuration”. Chaos entanglement theory says that these may interact with quantum nanoparticles in the gas stream in unpredictable ways. The product recall presents a significant logistical problem for Endomagno. Although the magnets are easy to attach using gaffer tape, they cannot be removed by the customer without invalidating the product’s Korean patent. This means sending a technician to every site and as a market leader in magnetic fuel treatment they have nearly seven users. Endomagno’s marketing director, Frank Lee Beaugusse, told me that the company is urgently investigating two alternative technologies. The most promising is a unipolar magnet, which only has a north pole, but they are also testing more conventional magnets with east and west (rather than north and south) poles. Comparative evaluation and testing will be carried out by Laboratoires Garnier. Got your shopping basket and cheque-book ready? 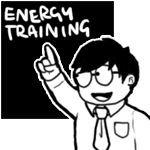 Let’s build that library of energy-management systems standards! We’ll start with ISO 50001 “Energy management systems. Requirements with guidance for use” at £174 (or bizzarely, £12 less for the laminated version), and to make sure we implement it correctly, fork out £212 for ISO 50004 “Energy management systems. Guidance for the implementation, maintenance and improvement of an energy management system”. To help us understand it all we might add PD CEN/CLC TR 16103 “Energy management and energy efficiency. Glossary of terms”. That’s only an extra £152 but we can probably pass up on ISO 9229 “Thermal insulation. Vocabulary” (£200) especially as the subject seems also to be covered in the cheaper ISO 9251 “Thermal insulation. Heat transfer. Conditions and properties of materials. Vocabulary” at just £90. Stay with me… Next, we will almost certainly want to do some energy audits. ISO 50002:2014 ED1 “Energy audits. Requirements with guidance for use” would seem to cover the ground, and at £103 it’s £5 less than the European Standard EN 16247-1 “Energy audits. General requirements”. 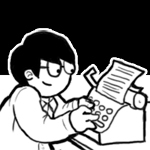 But – decisions, decisions – EN 16247 also boasts other sub-standards: Part 2 for buildings at £192; Part 3, processes at £146; and Part 4, transport at £104 (the prices differ because they charge per page). If we want to use benchmarking we could pick up a copy of EN 16231 “Energy efficiency benchmarking methodology” for only £152, and thinking about the qualifications of the people doing the work we should add PAS 51215 “Energy efficiency assessment. Competence of a lead energy assessor. Specification”, which at £70 seems quite good value until you read it. Swap your shopping basket for a trolley now, because we’re going to think about measuring and verifying our savings. To set the scene, let’s fork out £212 on EN 16212 “Energy Efficiency and Savings Calculation, Top-down and Bottom-up Methods”. Please suppress the thought that probably crept into your mind on seeing the words “up” and “bottom” in the title of one of these worthy publications, especially as we will see them again when we splash out £146 on CWA 15693 “Saving lifetimes of energy efficiency improvement measures in bottom-up calculations”. Then to be on the safe side let’s get ISO 50015 “Energy management systems. Measurement and verification of energy performance of organizations. General principles and guidance” at £152, plus ISO 50006 “Energy management systems. Measuring energy performance using energy baselines and energy performance indicators. General principles and guidance” (£174). Nearly done… To make sure that our efforts to comply with all this stuff are up to scratch, let’s round off with £146 for ISO 50003 “Energy management systems. Requirements for bodies providing audit and certification of energy management systems”. All in all, the bill could be over £2,000. There is no truth in the rumour that the International Standards Organisation, British Standards, and the Comité Européen de Normalisation are contemplating a joint venture to be called “ISO, BS and CEN Enterprises” or ISOBSCENE. “How green can you be?” is the message from major energy users Gulley Bull Ltd, who undertook a multi-faceted approach to saving fuel in their head office. They combined magnetic fuel conditioning, which offered a 20% saving, with two kinds of boiler water treatment. One, a simple cartridge containing special stones developed by a NASA scientist, changes a property of water to improve heat transfer by 25%. The other is a patented secret additive which prevents large steam bubbles forming in the boiler and also improves efficiency by 25%. Their building had solid walls, and was hard to insulate, but their energy manager’s researches uncovered a paint additive containing ceramic microspheres which, because they contain a vacuum, act as perfect insulators and promised a 30% saving on their heating costs just from redecorating the offices. Finally, they replaced their heating timeswitch with a control which claims to cuts fuel use by 16% by intermittently turning off the heating, saving fuel without sacrificing comfort: “an ingenious idea which took our total fuel savings to 116%” according to Gulley Bull spokeswoman April Fulstryk.